U.S. Magistrate Judge Daniel G. Martin ’84, described by Judge David Erickson as “one of the rock stars of our law school,” taught trial advocacy to more than 1,000 students during his 30 years as an adjunct professor at Chicago-Kent, also coaching several of the law school’s most successful competitive trial teams. 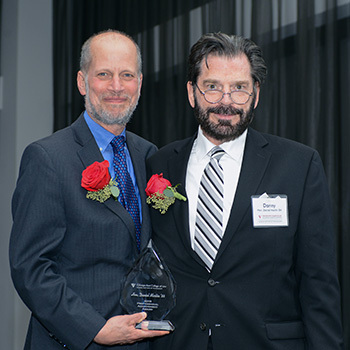 The Honorable Daniel Martin '84 (right) receives the Chicago-Kent Alumni Association's Professional Achievement Award from Dean Harold Krent in 2015. Judge Martin died Thursday, October 11, following a remarkable career as a federal defender, educator and judge. He was 63. Born and raised on Chicago’s South Side, Judge Martin earned his undergraduate degree at DePaul University in 1981 before attending Chicago-Kent, where he competed on the law school’s trial team at both the regional and national levels. 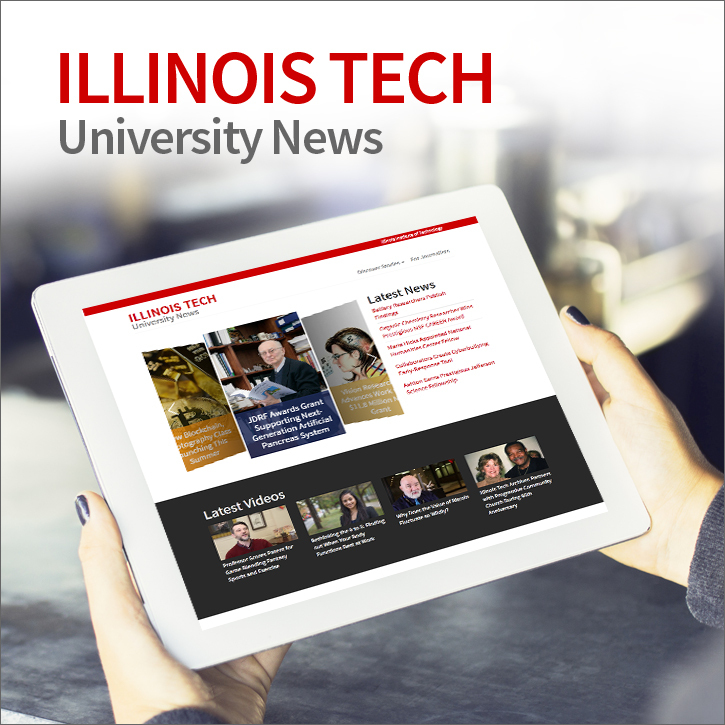 Following law school he became a staff attorney and later a supervising staff attorney with the Federal Defender Program for the Northern District of Illinois. There, he tried more than 60 federal criminal jury trials and argued more than 40 cases before the Seventh Circuit Court of Appeals. He also served as director of continuing legal education and as a member of the Criminal Justice Act panel attorney selection committee for the Northern District. In 2002, he created and administered the Federal Defender Program’s Summer Trial Skills Institute. He was appointed a Federal Magistrate Judge for the Northern District of Illinois, Eastern Division, in 2012. Judge Martin participated in the Northern District’s Mandatory Initial Discovery Pilot Project, launched in 2017, which studies whether civil litigation costs and delays can be reduced by requiring parties to undertake standard discovery requests before undertaking other discovery. Judge Martin was a member of the Federal Bar Association and was an active volunteer with organizations that served people with physical and developmental disabilities, including the Muscular Dystrophy Association of America and the Association of Horizon. We extend our deepest condolences to Judge Martin’s family and loved ones, especially his three daughters, Azalea, Kayla and Brianna, and to his many close friends in the legal community. The Chicago Tribune reports that services will be held Sunday, October 21, at the Union League Club of Chicago (directions), and will include a wake from 1 to 2 p.m. and a service from 2 to 3 p.m., followed by a reception from 3 to 5 p.m. The Chicago-Kent community will hold a memorial service on Monday, October 29, from 5:30 to 6:30 p.m., in Morris Hall on the 10th floor of the law school. RSVP on the Alumni Association's website for the Chicago-Kent memorial service. "Daniel G. Martin remembered as family man, good judge," Chicago Daily Law Bulletin, October 12, 2018. "Daniel Martin, magistrate judge and former attorney for Federal Defender Program, dies at 63," Chicago Tribune, October 15, 2018.